Look at this gorgeous card! 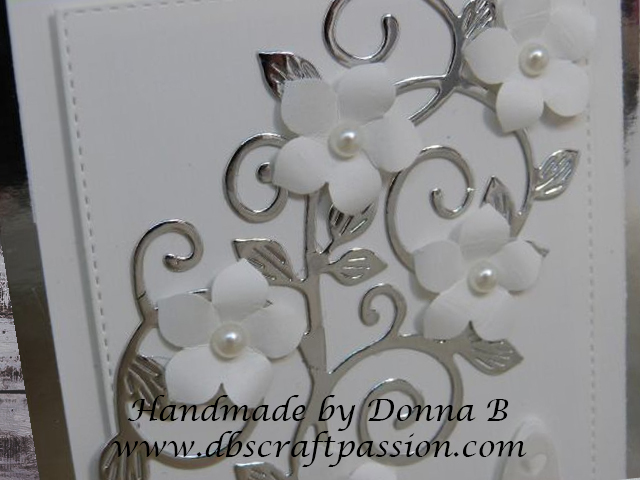 It has beautiful detail with a chrome finish to make the leaves and vines shimmer. As the flowers and butterfly are white, they blend with the background but the subtle pearl detail makes them visible. Its so gorgeous to look at and being quite a simple, elegant design, it could be used for any occasion. I am sure whatever the occasion, someone would be happy to receive this card.